Brassiere icon, cartoon style. Brassiere icon. 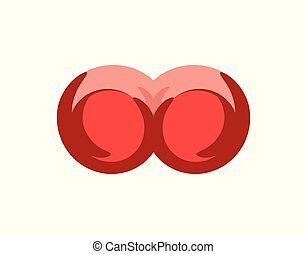 cartoon illustration of brassiere vector icon for web design. Fashionable women one-piece sport swimsuit vector icon. Flat design style. Big female in cartoon style red bra. Vector illustration of beautiful Female with underclothes for Bra Store or Intime Shop, Vector illustration in EPS 10. 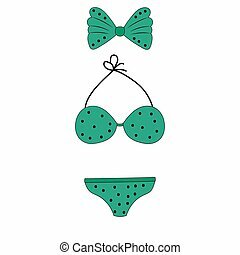 Men's briefs, clothes, bra, swimsuit, cap.Clothing and accessories set collection icons in cartoon black monochrome outline style vector symbol stock illustration .